It’s that time of year again when Christmas is fast approaching, and the new year is just around the corner. 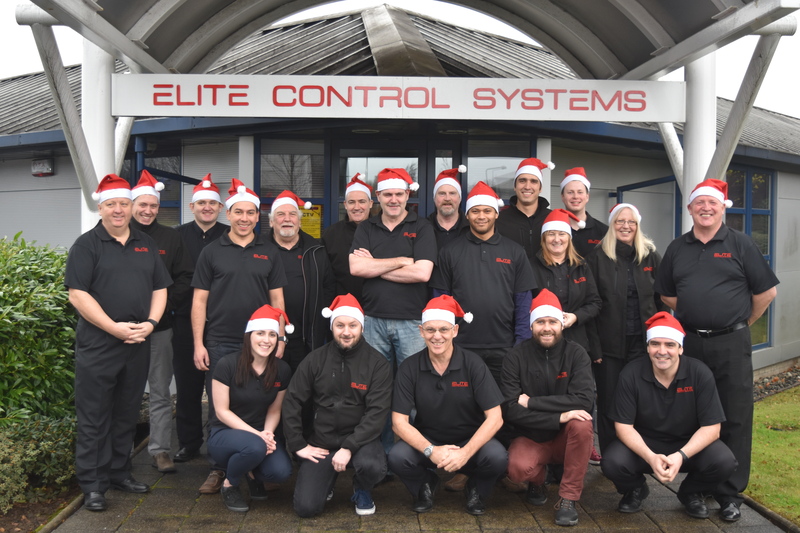 2017 is going to be a very special year for Elite Control Systems ltd, as it is the 25th Anniversary of the Company. Elite Control Systems was formed by Elite’s Managing Director Sam Mackay and his business partner, Technical Director Ewan McAllister. The business was established in 1992, and started off as a single office in Bathgate. Elite Control Systems soon expanded, before moving to a purpose built facility in Livingston in 1998. Due to the growing success of the company, and the increasing demand for more staff, the facility had doubled in size by 2004. Elite have always been focused on client retention, which is why many of Elite’s Clients are loyal, some even as far back as 1992, when the business was first established. Elite have many great achievements to be proud of over the years, which is why they are considered to be one of the top System Integrators in Scotland. An excellent example is when Elite were the first System Integration company to achieve ISO9001:TickIT status through the British Standard’s institute (BSI) Small Business scheme. The company have always believed in the benefits of Partnerships from as far back as 1992 and this underpins the company’s ethos of “Promoting Performance through Partnerships”. From everyone at Elite, we would like to thank all of our Suppliers and Clients, because without them, the company wouldn’t be where it is today. Here’s to the next 25 years!